Comparing The 2019 Toyota RAV4 & The 2019 Toyota C-HR: Which Is Right For You? The Toyota RAV4 and the Toyota C-HR are 2 of the most popular family SUVs on the market today. Their standout style has certainly contributed to their popularity. If you take a look at both of these vehicles, you can clearly see that they have some of the same styling cues. However, there is a noticeable difference. The Toyota C-HR has the style of a crossover, while the Toyota RAV4 is more of a small SUV. They also have different features. The Toyota RAV4 has a set of available 19-inch wheels, available LED headlamps and even an optional 2-tone paint job. The Toyota C-HR has standard rear defrost, which is great for those cold Columbus winter mornings. The standard spoiler gives the 2019 C-HR an aggressive look, while the optional wheel locks are available to protect the selection of available wheel styles. Come by the Rivertown Toyota dealer today and take a look at the 2019 RAV4 and the 2019 C- HR. Test-drive these fine vehicles and find your new dream car. The 2019 RAV4 and the 2019 C-HR are both designed with families in mind. This results in spacious and full-featured interiors. The 2019 RAV4 is a little roomier than the 2019 C-HR, though the Toyota C-HR still has plenty of interior space. The notable interior features in the 2019 RAV4 include an optional digital rearview mirror, a panoramic moonroof and heated rear seats. The 2019 C-HR has features like a standard leather-wrapped steering wheel and pass-through rear seats for optimized cargo space. The standard cargo shade in the Toyota C-HR will protect heat-sensitive items during those steamy Georgia summers. 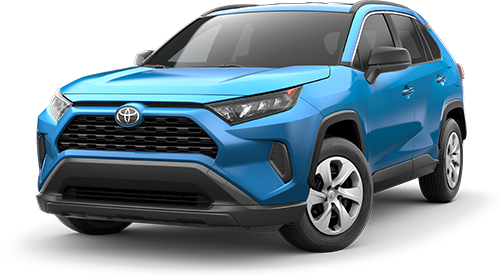 The Rivertown Toyota dealership has the new Toyota RAV4 and the new Toyota C-HR in stock. Come in for a test drive today. The Toyota RAV4 and the Toyota C-HR offer the sort of versatile performance that's hard to find in practical family SUVs. They each offer an enticing blend of efficiency and performance. Both the 2019 RAV4 and the 2019 C-HR also offer impressive off-road capability. The centerpiece of the Toyota RAV4's performance is the 2.5L 4-cylinder engine kicking out 203 horsepower. This powerful engine is connected to an 8-speed automatic transmission. The standard front-wheel drive drivetrain is stable and ergonomic, while the optional all-wheel drive drivetrain allows off-road adventures. The Toyota C-HR has a standard 2.0L 4-cylinder engine that kicks out 144 horsepower. The standard CVT transmission completes this easily controllable powertrain. Just like the 2019 RAV4, the 2019 C-HR offers standard front-wheel drive and optional all-wheel drive. Take the 2019 C-HR and the 2019 RAV4 out for a spin at Rivertown Toyota today. Toyota's current lineup is known for offering some of the most comprehensive standard safety features ever included on affordable vehicles. The Toyota RAV4 and the Toyota C-HR do have standard safety features that drivers might expect, like a standard rearview camera. These vehicles go above and beyond with their Toyota Safety Sense™ packages. The 2019 RAV4 has the standard Toyota Safety Sense 2.0 package. The 2019 C-HR includes the related Toyota Safety Sense P package. Have you been looking for a safe family SUV at Columbus, GA car dealerships? Rivertown Toyota has both the 2019 RAV4 and the 2019 C-HR available for your consideration. Schedule a test drive through our website today. The 2019 Toyota C-HR and the 2019 Toyota RAV4 both include the standard Entune™ 3.0 infotainment system. This system includes both Amazon Alexa™ and Apple CarPlay™. A beautifully designed 7-inch touchscreen is standard with Entune 3.0. Both vehicles also offer optional GPS navigation. 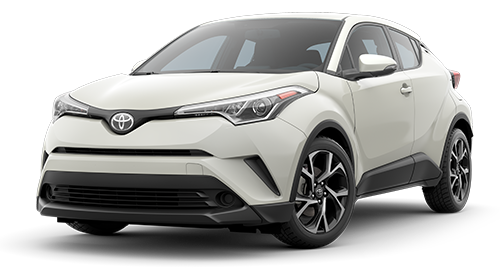 Drivers in LaGrange, GA, Auburn-Opelika, AL and elsewhere in the Columbus, GA area can try out the advanced tech features in the Toyota C-HR and the Toyota RAV4. Swing by Rivertown Toyota today for your test drive.